This is the first time Dragonspear Castle has ever been seen in a video game. Today we’re publishing an interview with our creative team about Siege of Dragonspear: transforming a barren, 2D map into a living, breathing castle, the development of gnomish character Glint, and bringing a fan’s characters to life. 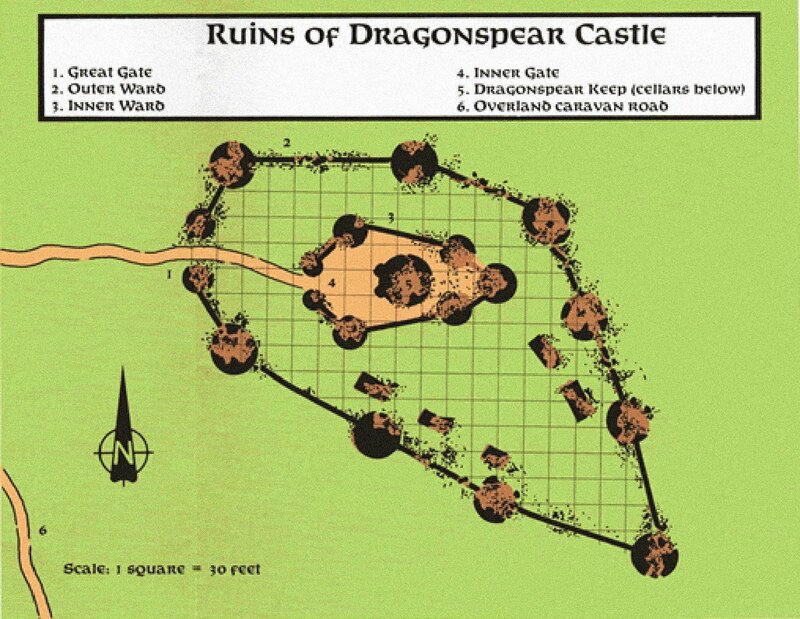 For a place with such a rich history, the structure of Dragonspear Castle has been very badly documented. Yet it’s hard to blame the scholars at Candlekeep for dropping the ball on this one. 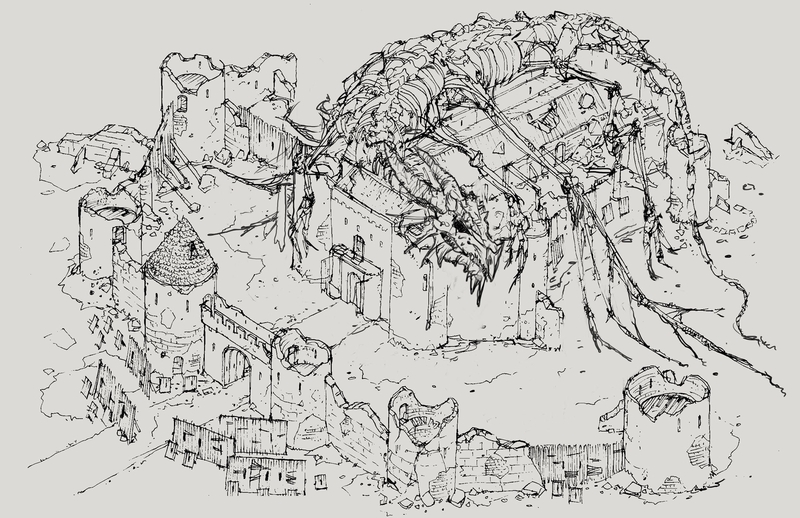 The job of plotting rooms and tunnels on a scale map isn’t made any easier by the bandit hordes rampaging through the castle or a portal to another plane that spits out devilish baatezu. As the scale of the project grew, from a small piece of DLC to a major video game expansion, so did the team working on it. Oster believes the Siege of Dragonspear crew created the largest amount of art for any Baldur’s Gate video game. “We originally started out with this idea that we’d only make a few areas. 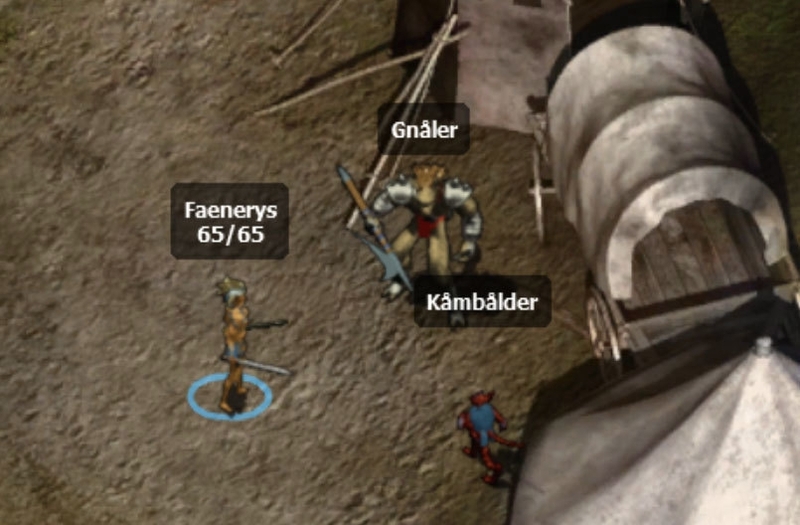 But the team kept going and going and the last total I heard was 76 all new areas, so we’re substantially larger than Baldur's Gate II: Throne of Bhaal,” he says proudly. Prepping for such a big conflict forced the team to expand the castle’s areas to accommodate a lot more units on screen. The battle takes place in the courtyard and, as the game’s title suggests, includes the building of an army and a siege situation. “The great thing about Siege of Dragonspear in general is that no-one’s ever really seen a Baldur’s Gate game full screen. 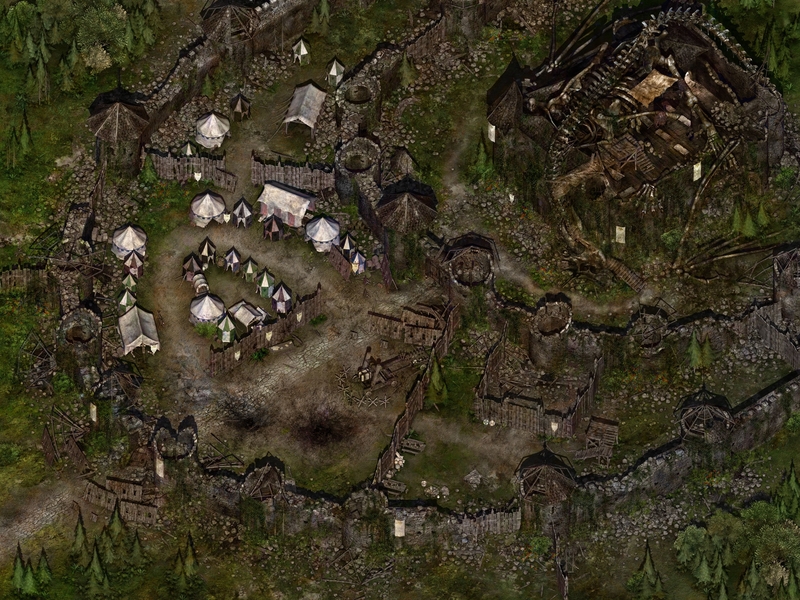 You normally only have that little bit of an area around you,” says Hill, although he’s keen to stress that the traditional Baldur’s Gate focus on discovery hasn’t been lost, with plenty of NPCs to interact with during that exploration. In a breakdown of the development process, Hill reveals that everything begins with writers pitching an idea for an area of the castle. From there, a concept artist goes to work and fills in the details. This concept art is sometimes placed into the game as soon as it has been created, so the programmers can start to set up those scenarios. “The 3D artists build what we refer to as a grey box model, which is just rough polygons. So, for instance, when the stone wall around the castle went in, it was just a flat wall and the castle itself was just a box. Once it’s in game, we have the chance to walk around and get an idea of the scale and we can start to refine the design from there,” Hill says. Tweaking the design of the original 2D map to fit the video game wasn’t the only change that was needed. To truly live up to the name Dragonspear Castle, the location also needed an iconic piece of decoration to top it off (although the skeleton that straddles the building is from a red dragon which attacked the castle, not Daeros Dragonspear’s original steed). Yet even that design saw changes, as it moved from the initial concept art to the final in-game image. 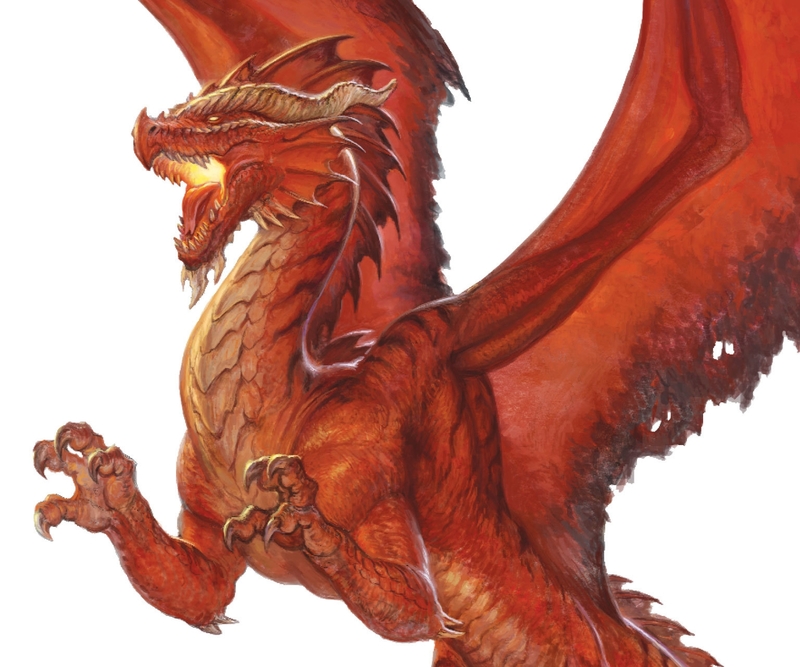 “Because it’s a red dragon, it’s a D&D canon red dragon. Wizards of the Coast provided us with reference material and we had to make sure that the skull matched that, rather than being a generic fantasy dragon. In the initial sketch we didn’t quite have the horns right and now the skull is thinner and the horns are much longer. At that point we found ourselves getting into the forensic anthropology of dragons,” says Hill. This is an ancient Red Dragon from the D&D Monster Manual. Video games are like any form of entertainment and an actor’s performance can have a major influence on how the audience responds to a character. 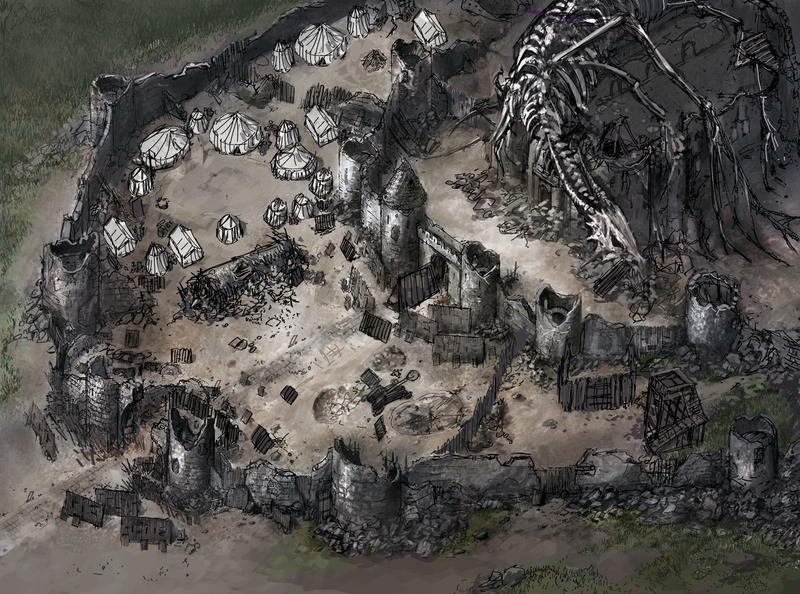 For Baldur’s Gate: Siege of Dragonspear that was true even when the audience was still restricted to the art team. 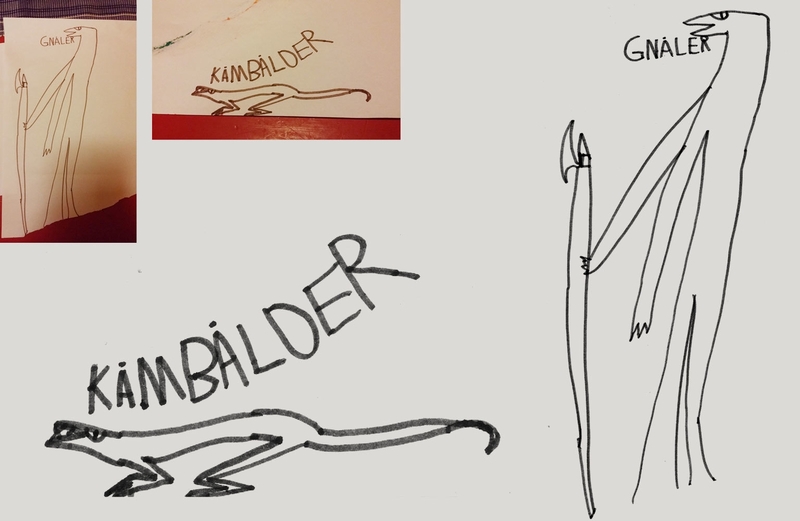 The design for gnomish character Glint Gardnersonson underwent a major revision following some sterling work by voice actor Jacob Burgess. In honor of this piece of artistic inspiration, we had the idea of naming two monsters in Siege of Dragonspear Kämbälder and Gnäler. As you can see below, that’s just what happened! Now Assar and Egon (the children of Perstrand) will find out their father has brought something to the Baldur’s Gate world! Stay tuned, we’re excited to share more materials from the Familiar in upcoming weeks! Share your impressions on Facebook, Twitter, and in our forums and tell us about your favorite moments of Siege of Dragonspear.